Every time fall and winter come along I go through seasonal depression because everything suddenly starts becoming darker and time starts rushing, because the holidays are coming and whatnot. Anybody who knows me knows that I love light and bright colors, so even through everybody seems to love autumn, I however do not. So, today;s post is an ode to my favorite season Spring, comeback really soon! I've never really been a fan of the color purple but pastel colors like lavender and lilacs just looked incredibly stunning, so how can I not fall in love with such a shade! Since I made that Lovely Lavender post way back in April I thought I would continue the obsession and make an updated purple post! 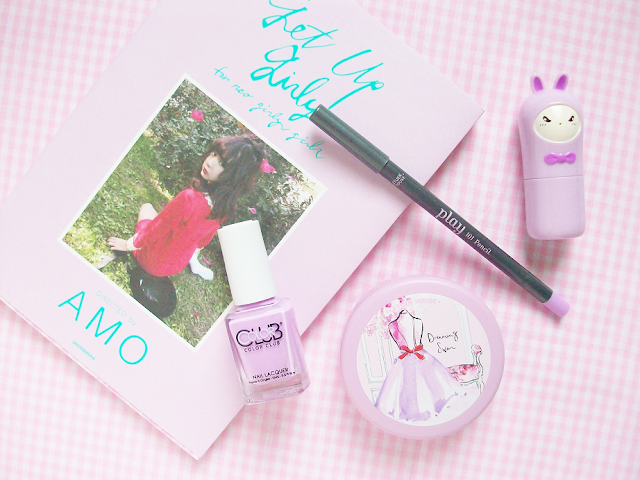 My first post was mainly on fashion and clothing so I'm making this one all about lavender colored (and scented) beauty products. 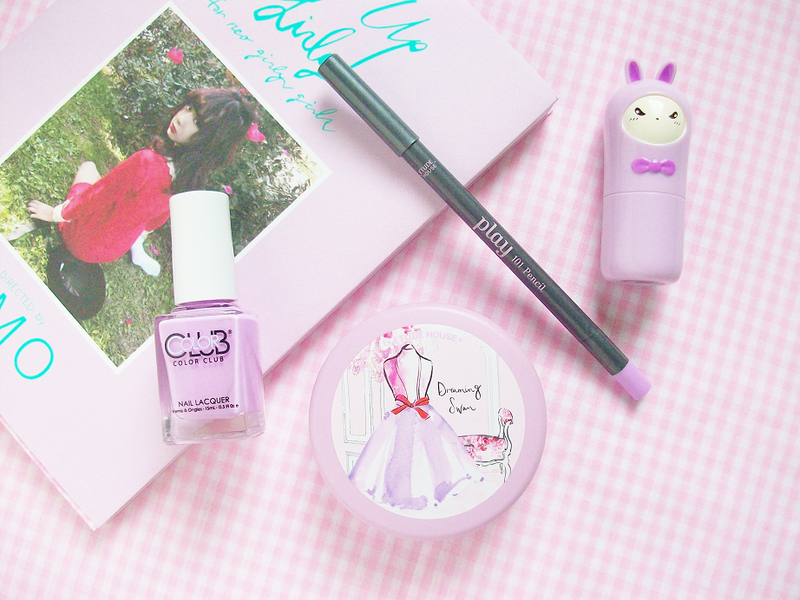 Back during Spring I bought this Etude House Play 101 Pencil in a gorgeous lavender color. This was one of those impulse purchases that I lusted over but didn't really need. I haven't used that much since buying it because I'm still trying to find ways on how I can use it properly, maybe as blush or a lip color? I'm still glad I bought it though! Out of all the nail varnishes I own I only have two pastel purple nail polishes that I would consider the perfect pastel purple color. OPI's Lucky Lucky Lavender and Color Club's Diggin the Dancing Queen. They're both pretty similar because they are a warm lilac creme based polish. Both colors absolutely lovely! When Etude House released their Dreaming Swan collection my eyes went to the lilac any cushion case straight away! Not only is the case color beautiful but it also has a glamorous design cover! I've had this Tony Moly Hello Bunny Perfume Stick since February. The scent is a fresh floral fragrance, almost lavender scented! 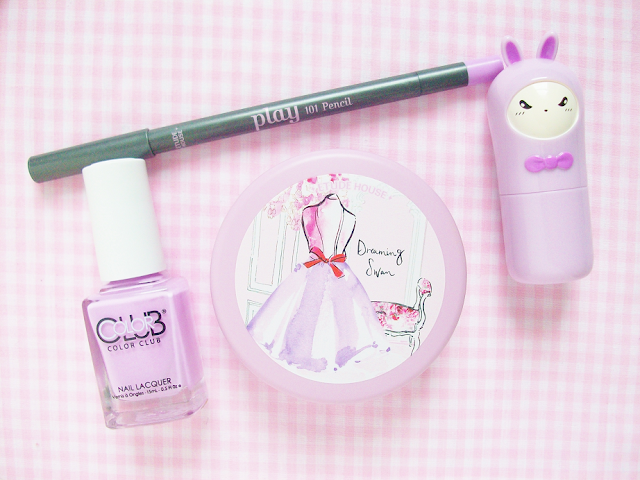 I've used it all up already but I can't seem to let myself throw this away because of the adorable bunny packaging! I'm currently using the bunny as a decoration in my room.